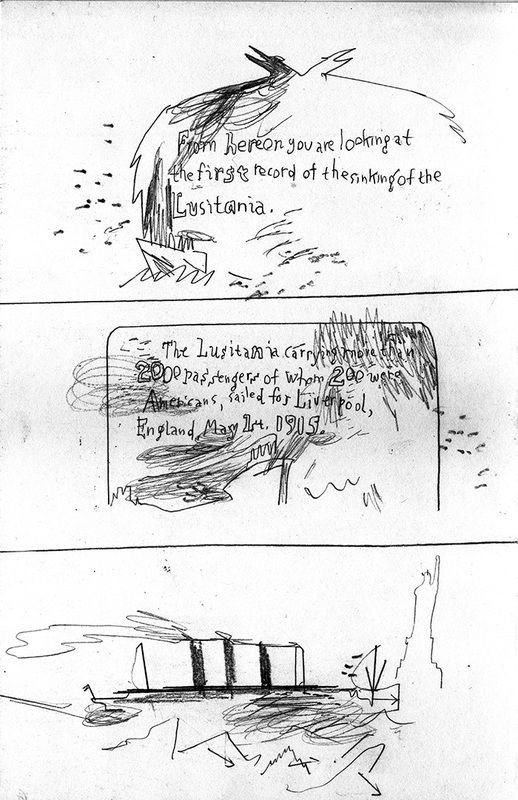 On May 7, 1915 the passenger shis Lusitania was sunk by a German submarine. 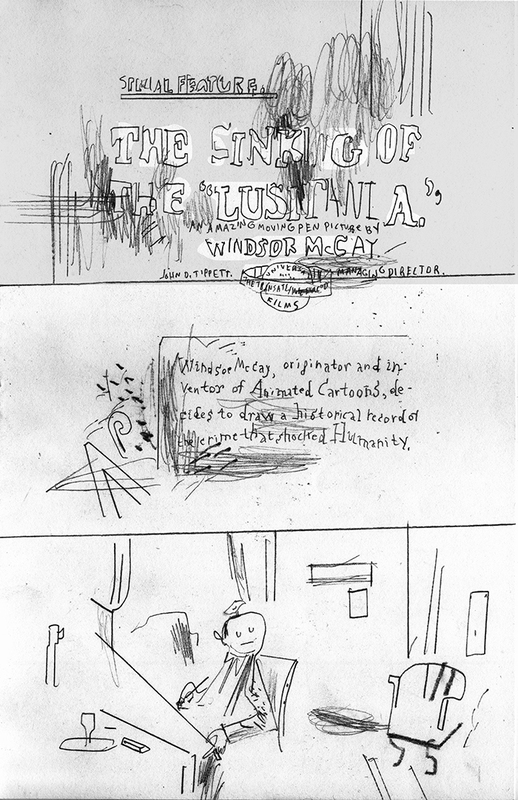 The artist Windsor McCay, best known for his "Little Nemo in Slumberland" comic strips, made an animation, "The Sinking of The Lusitania", about the event. 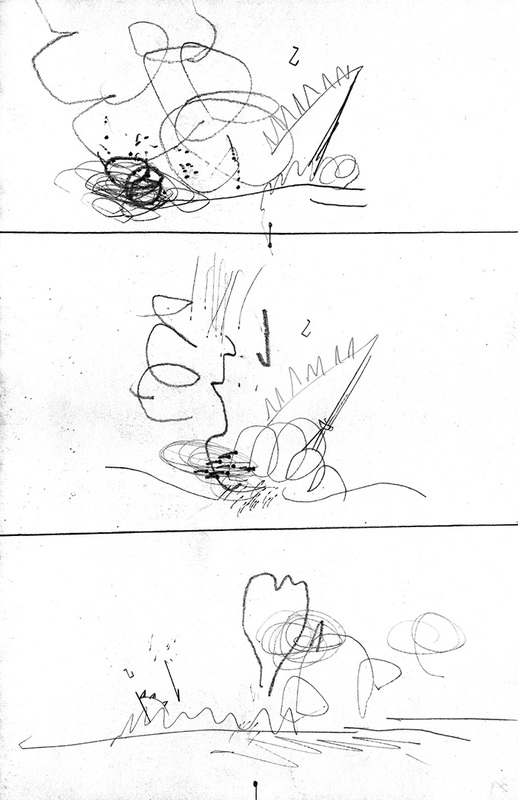 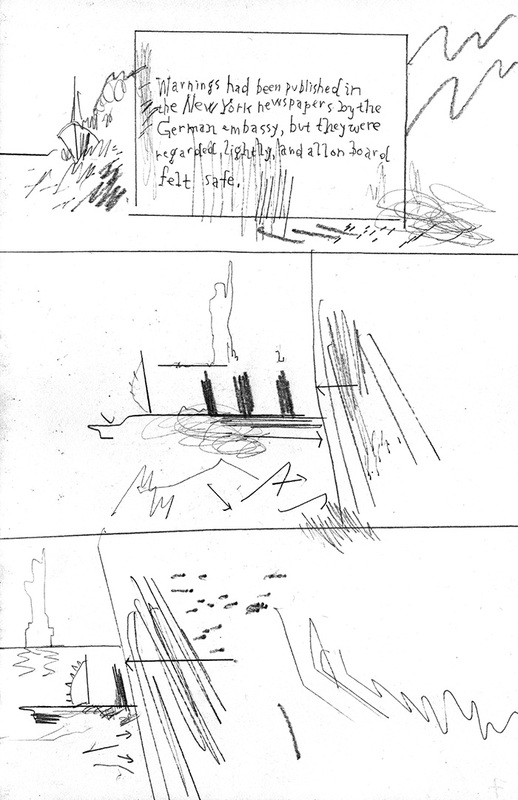 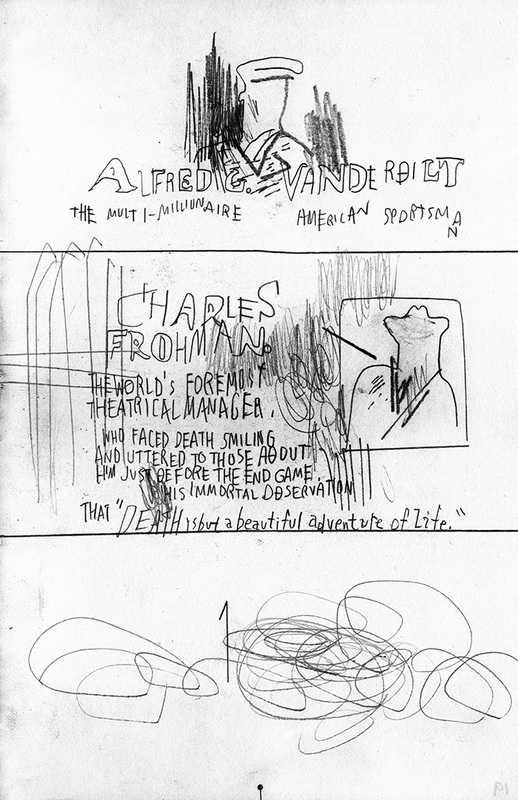 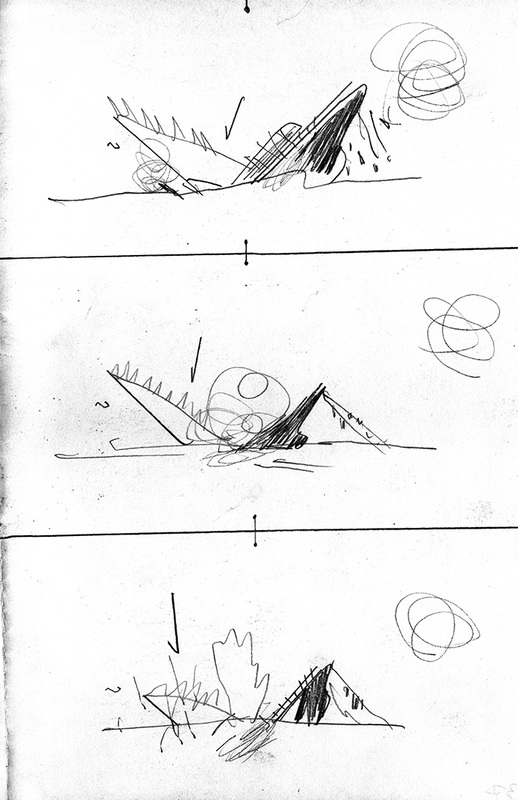 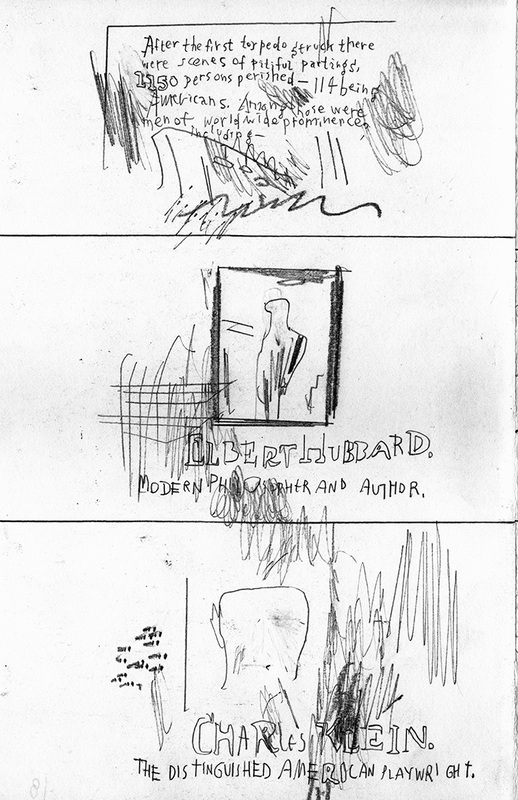 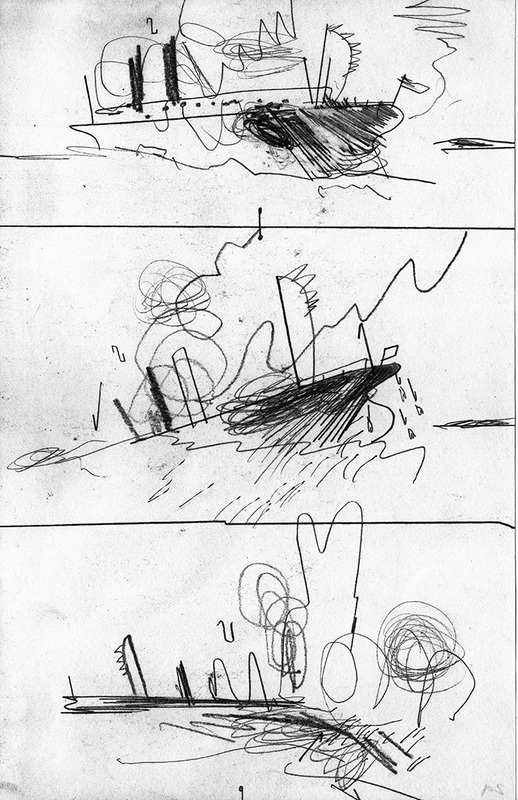 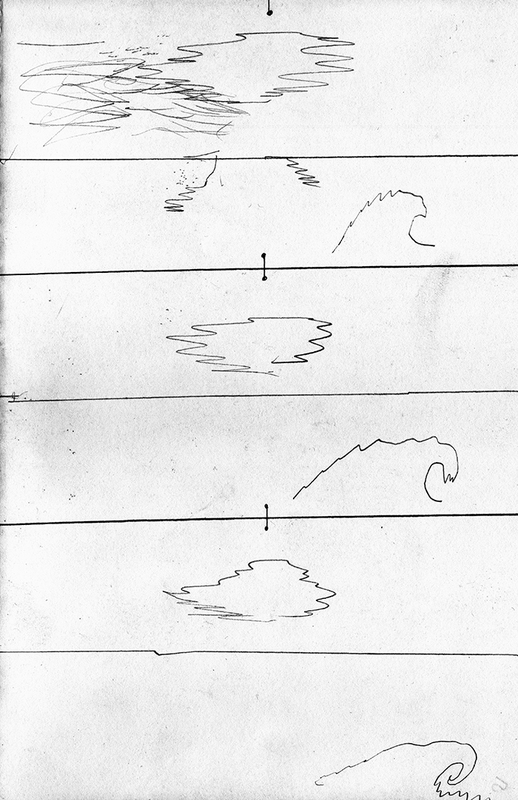 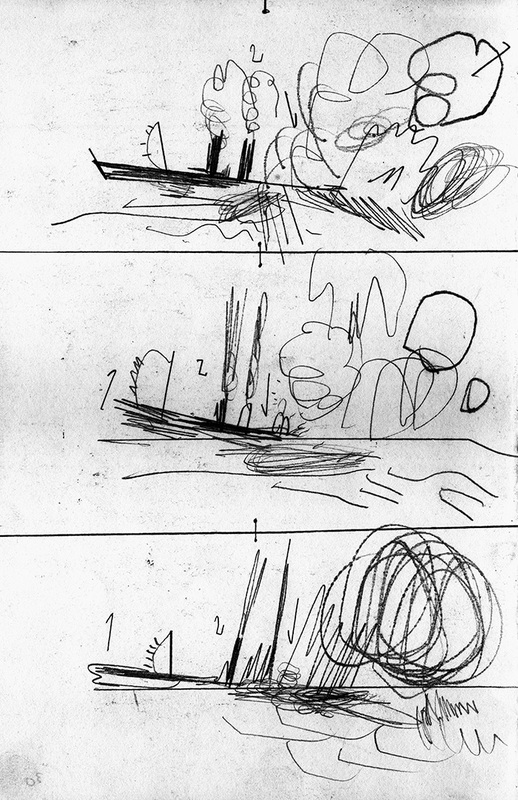 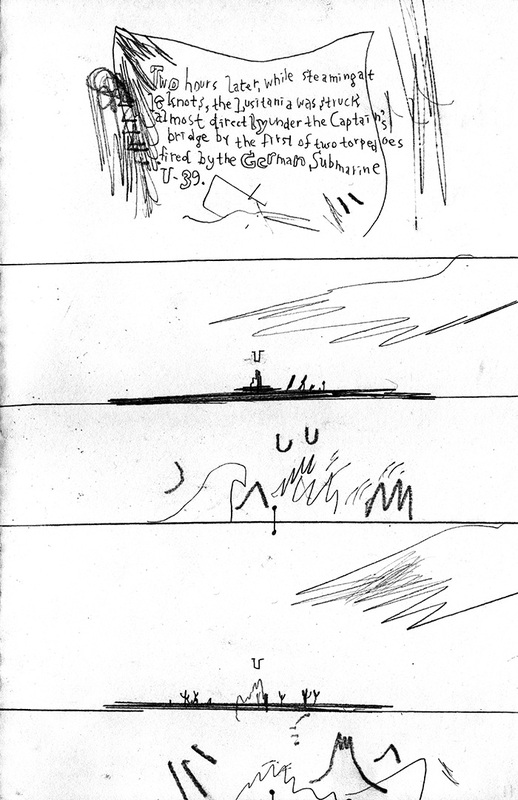 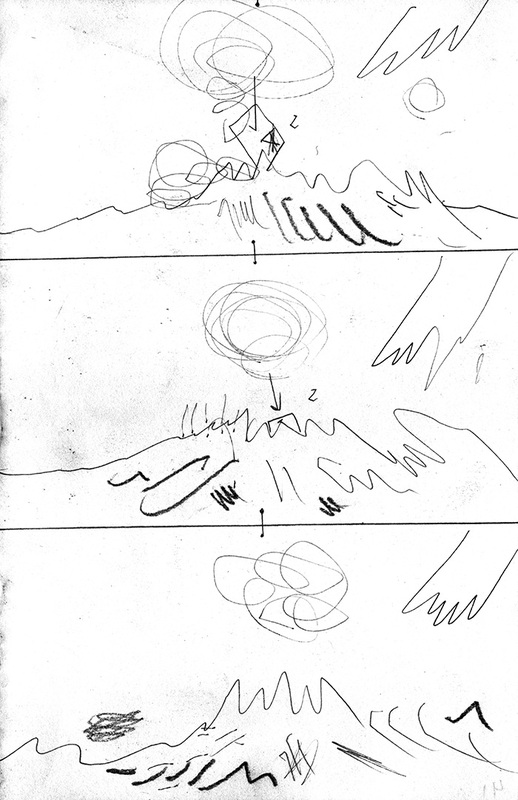 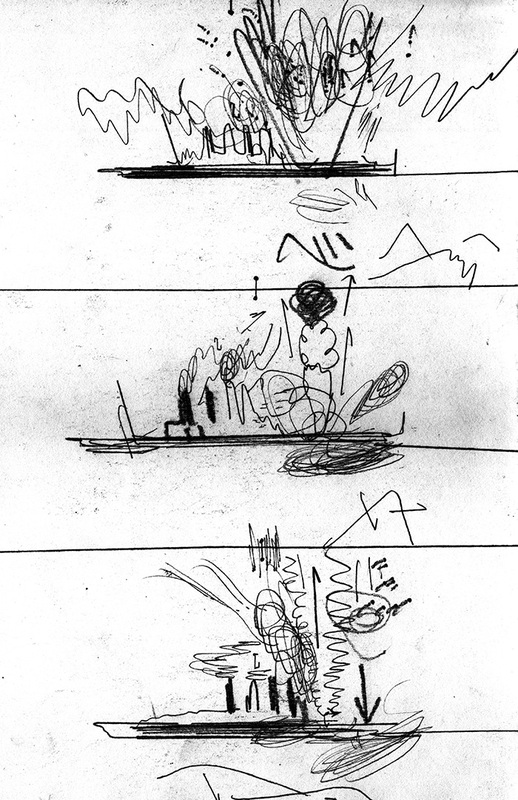 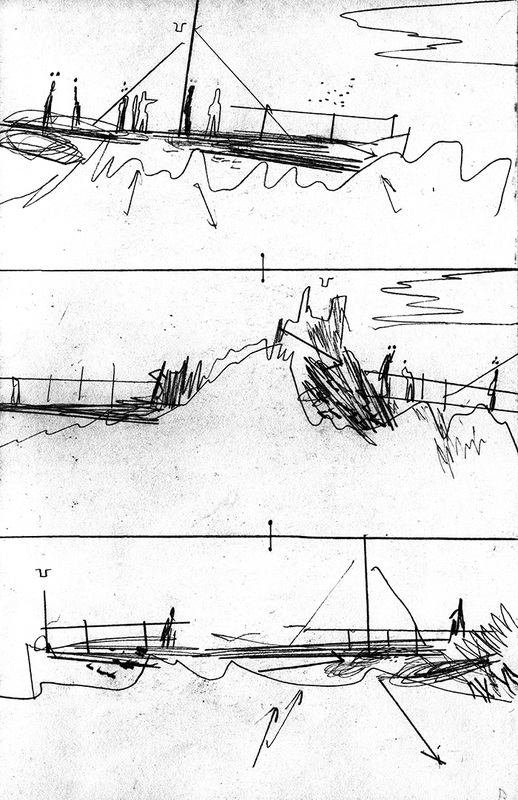 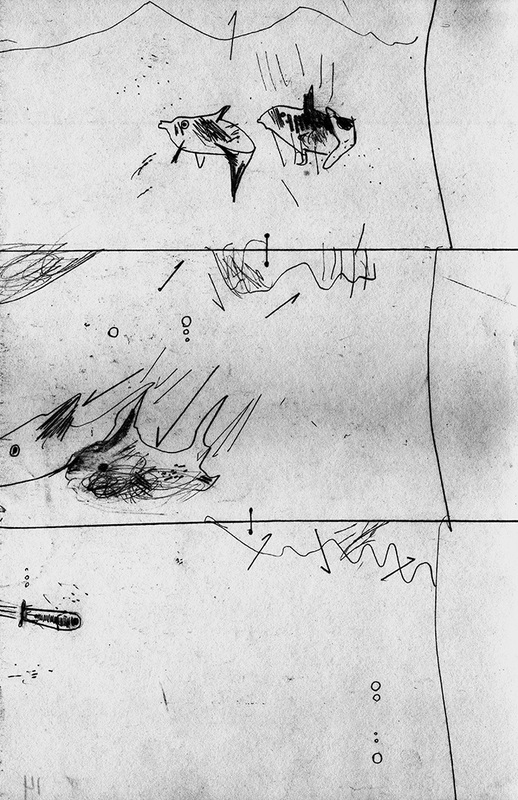 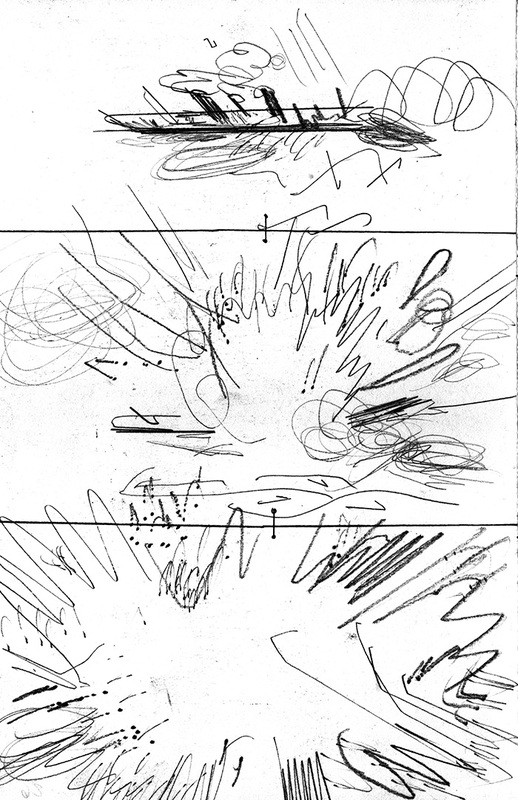 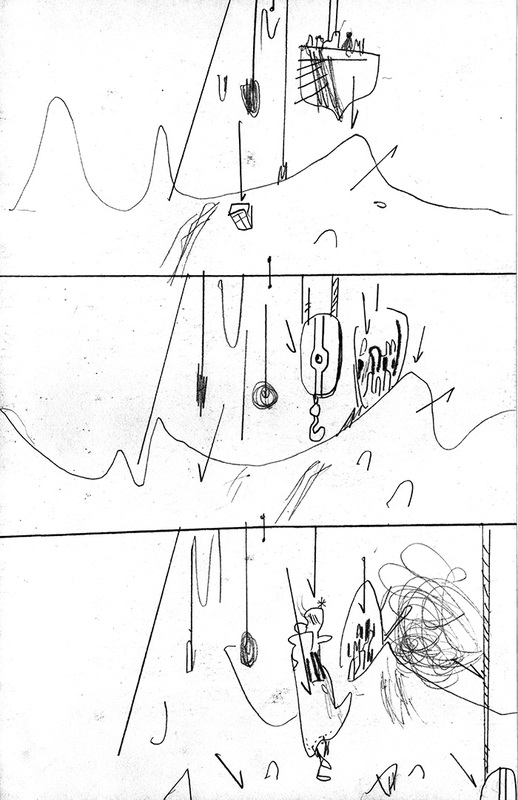 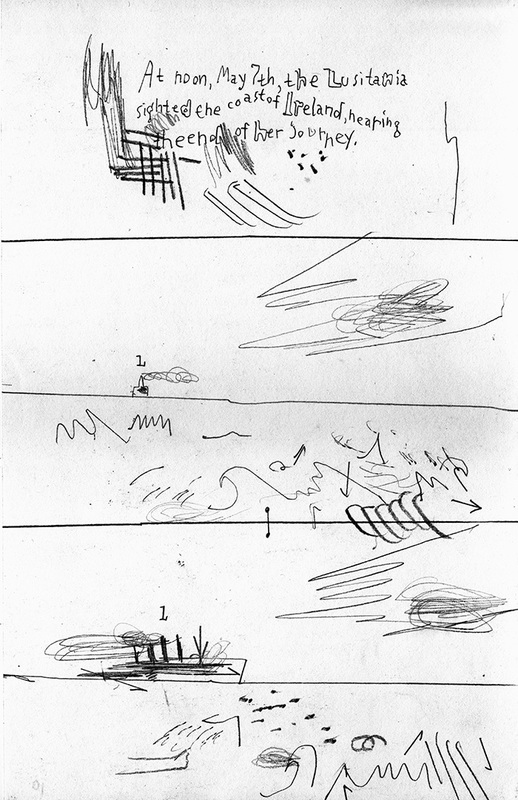 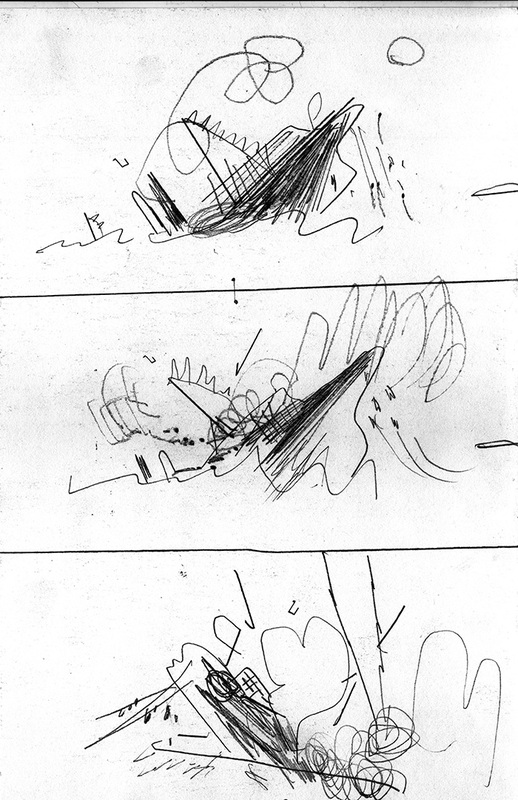 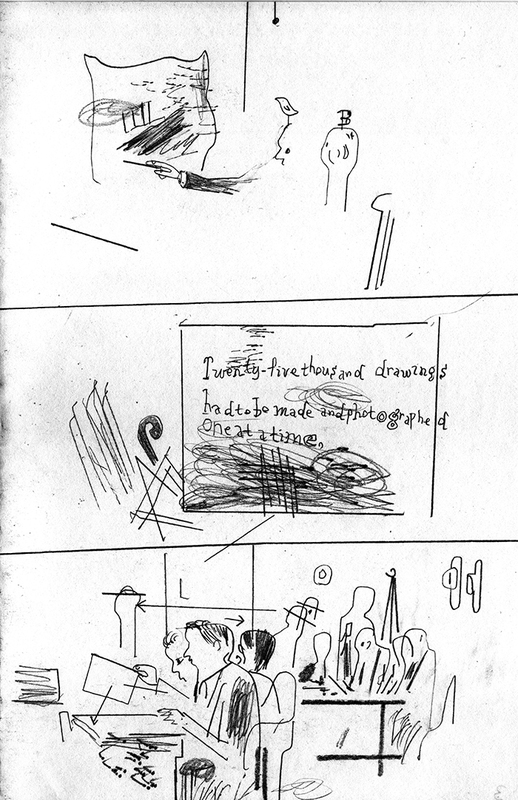 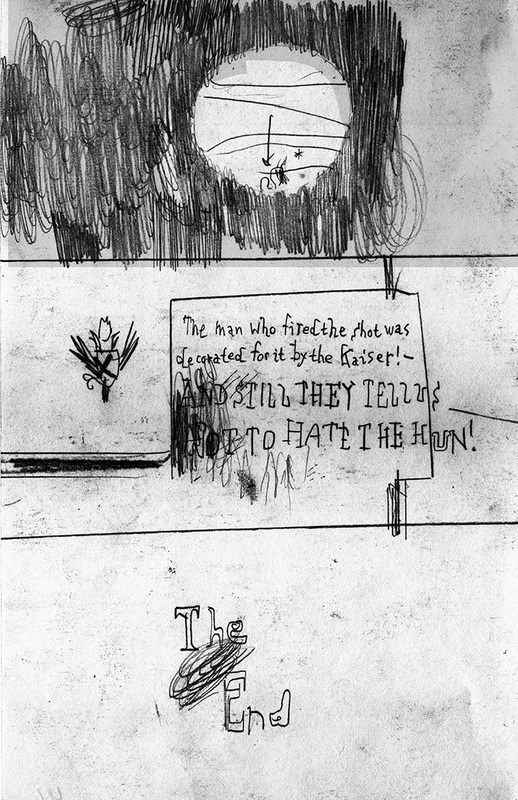 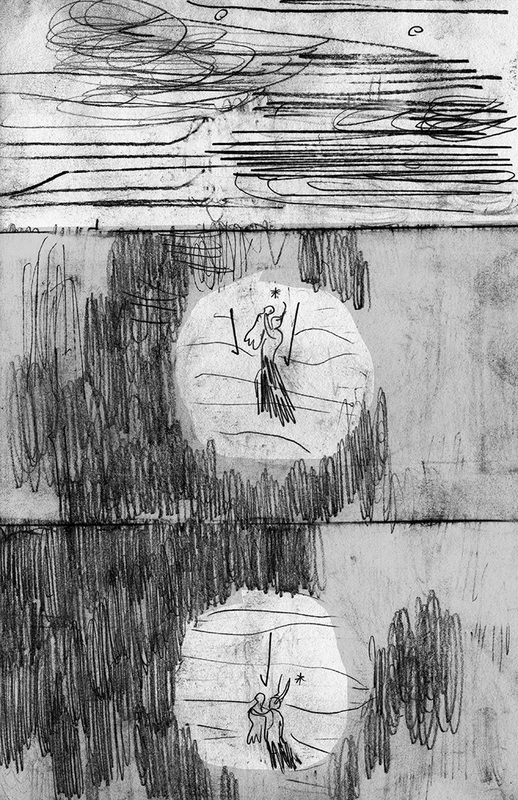 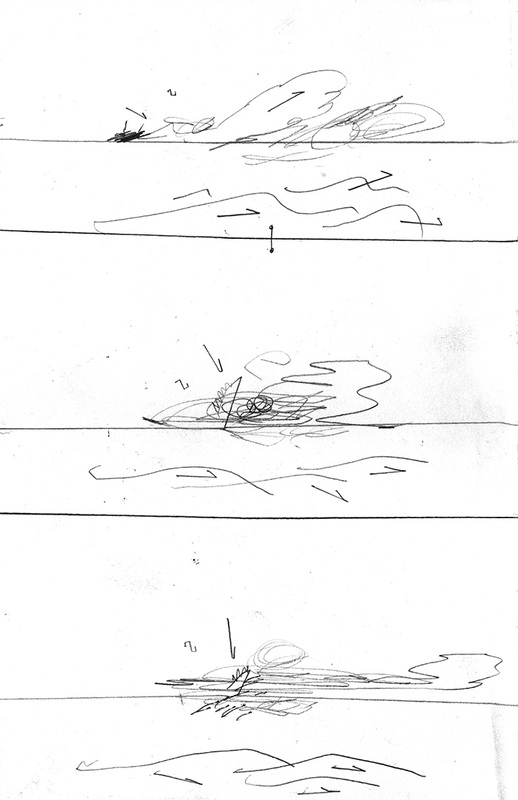 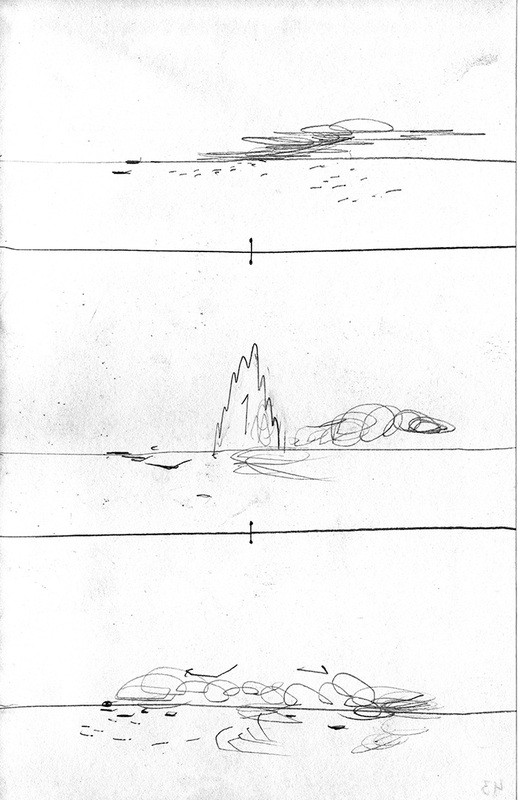 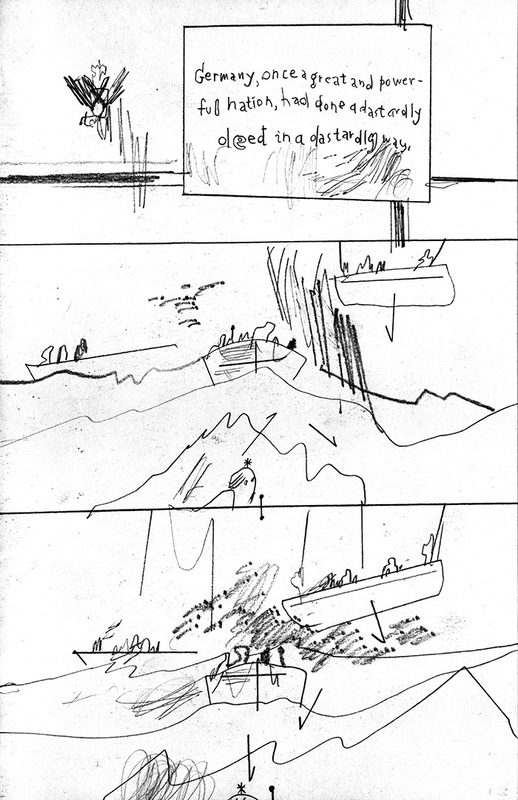 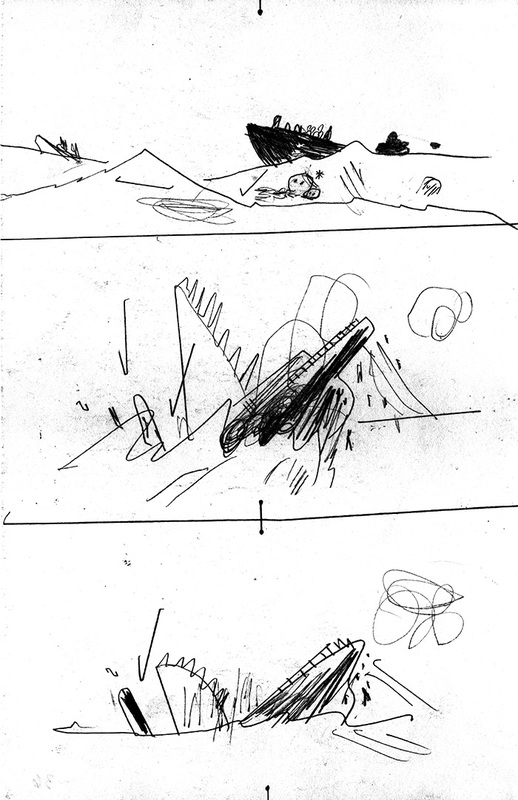 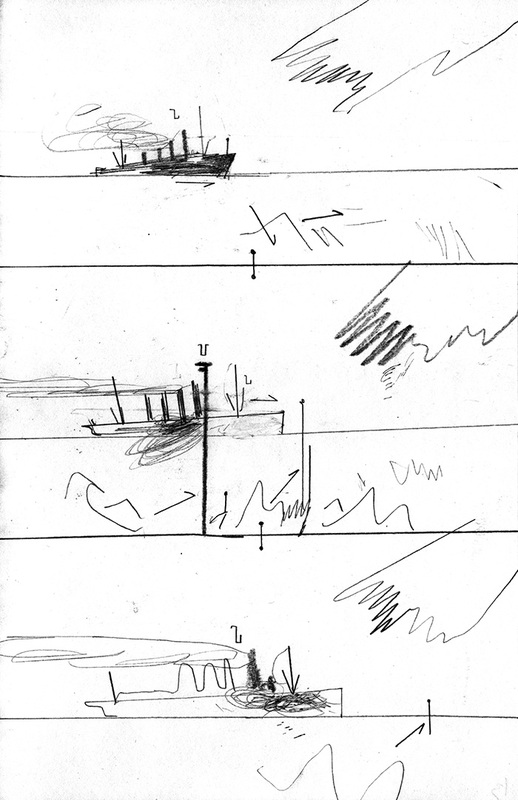 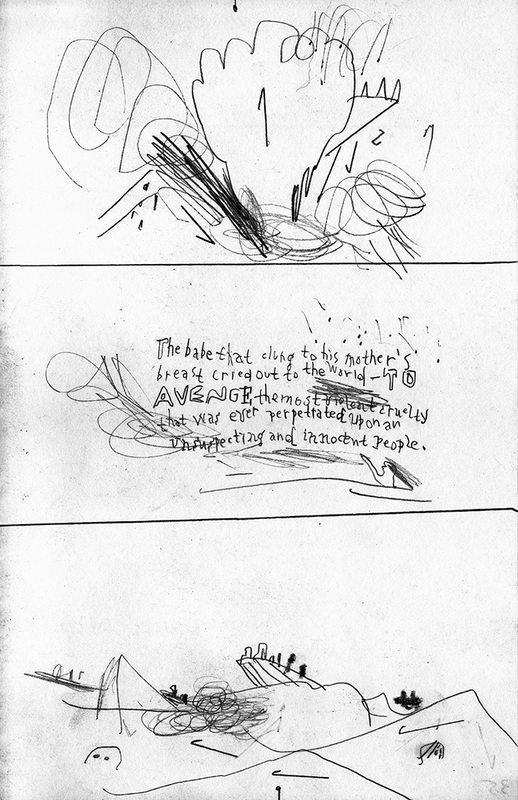 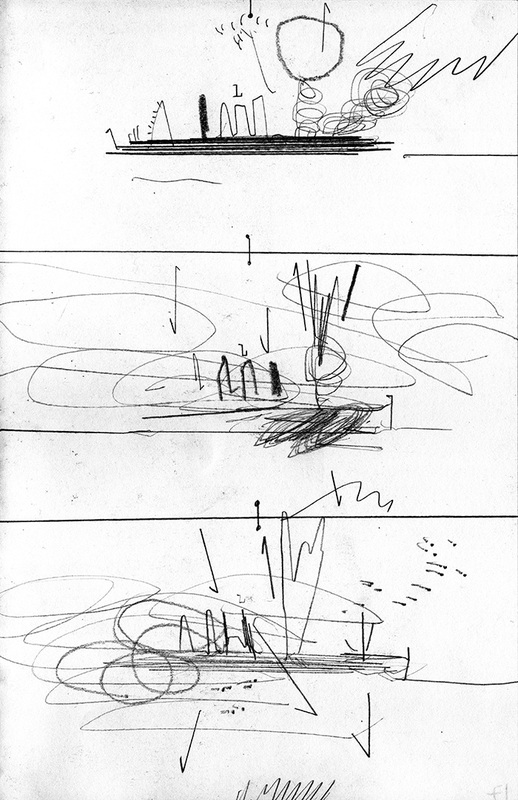 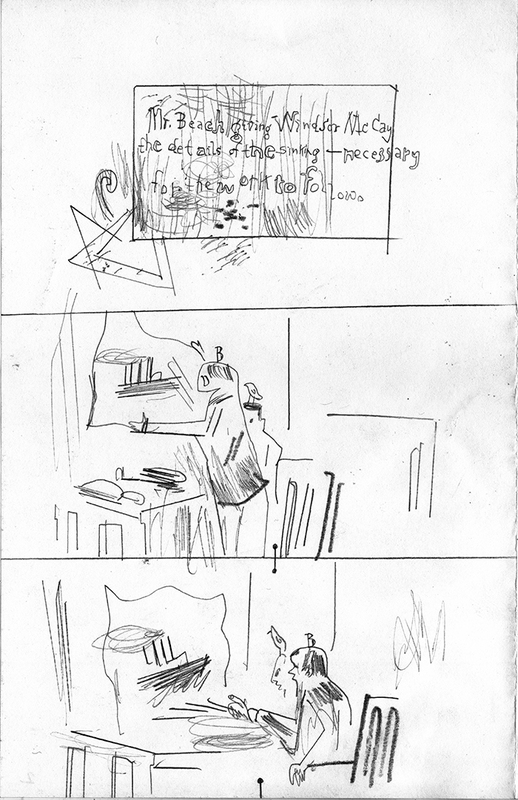 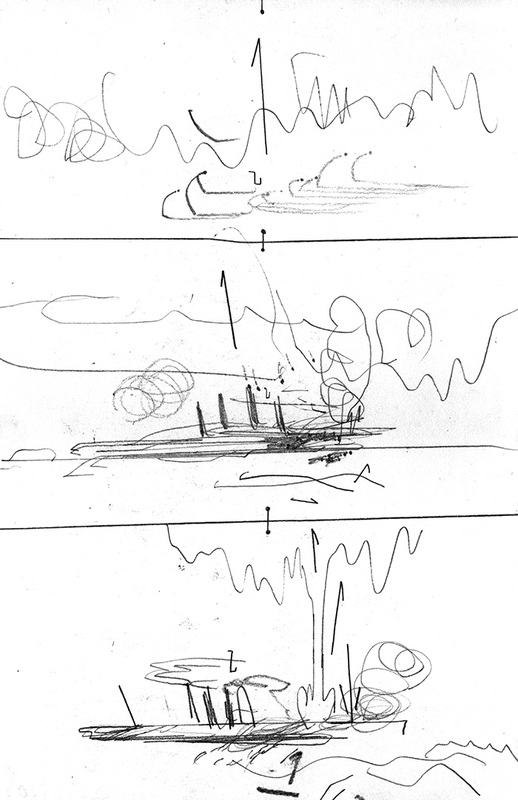 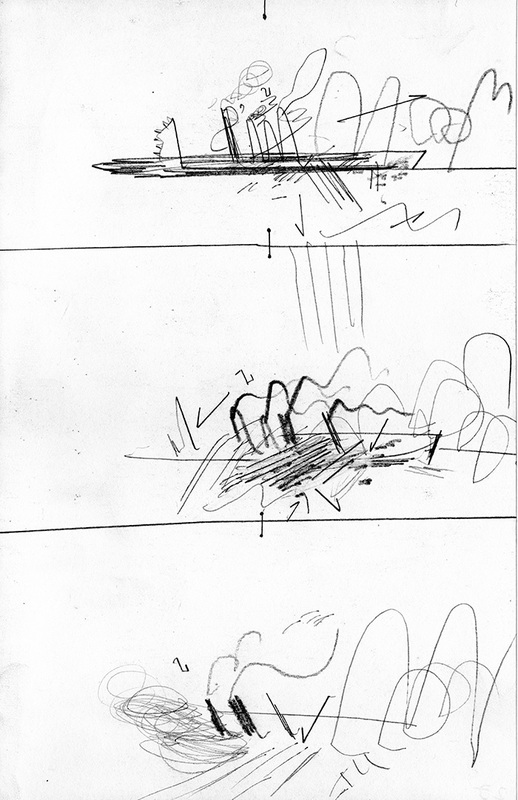 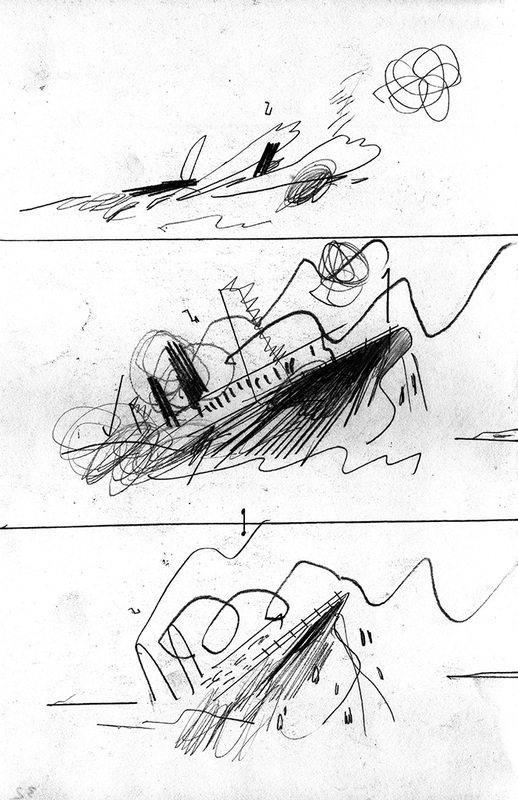 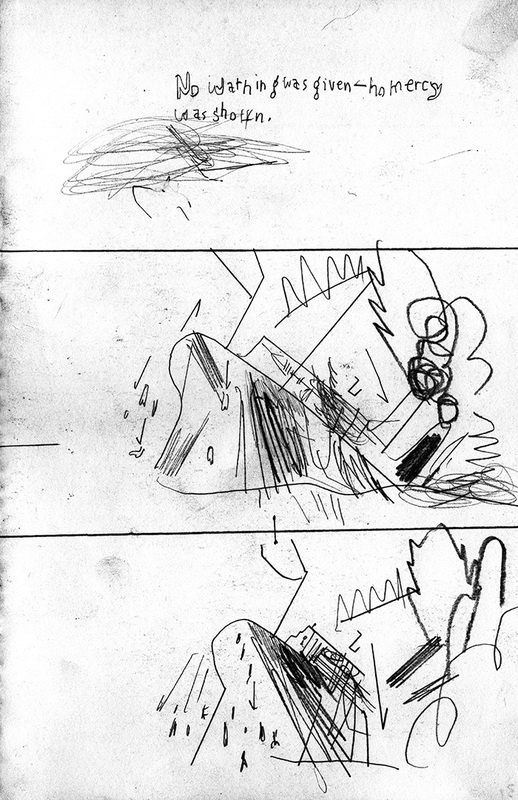 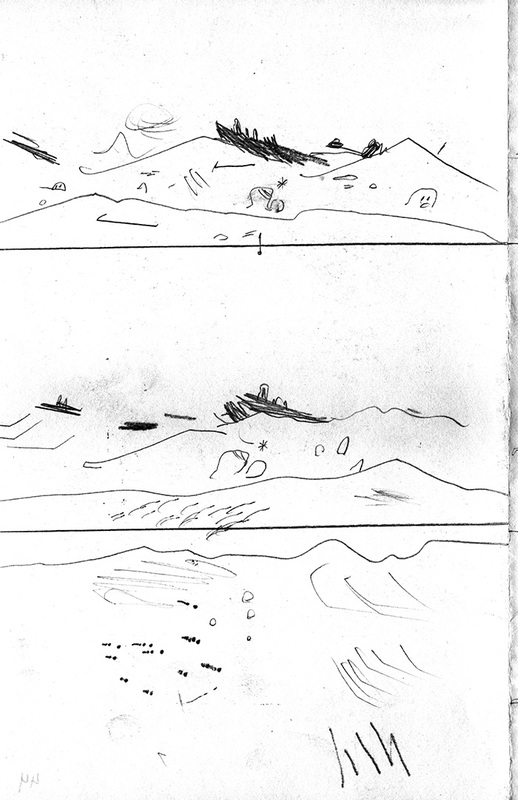 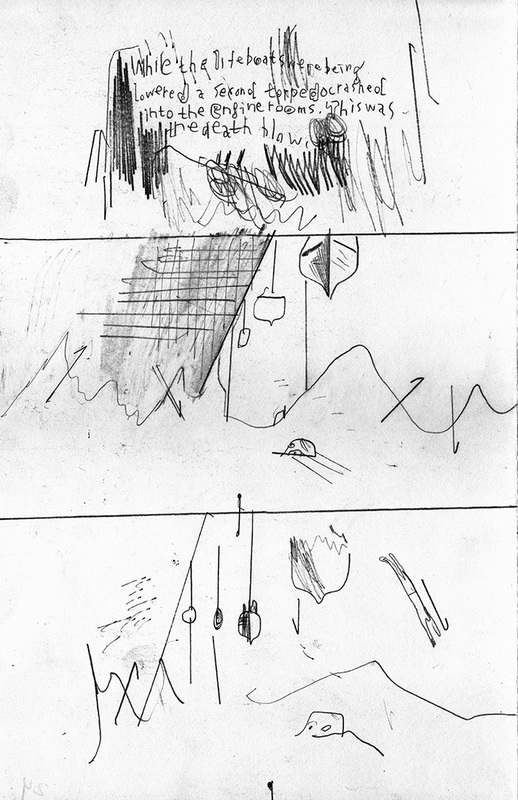 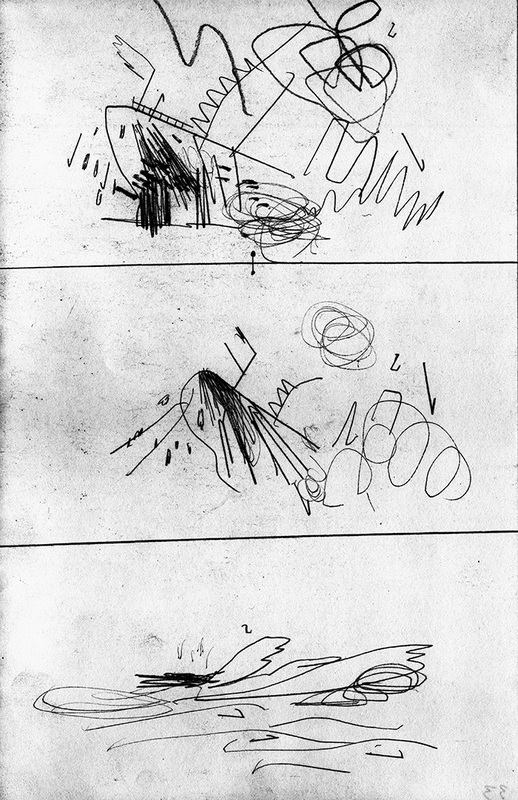 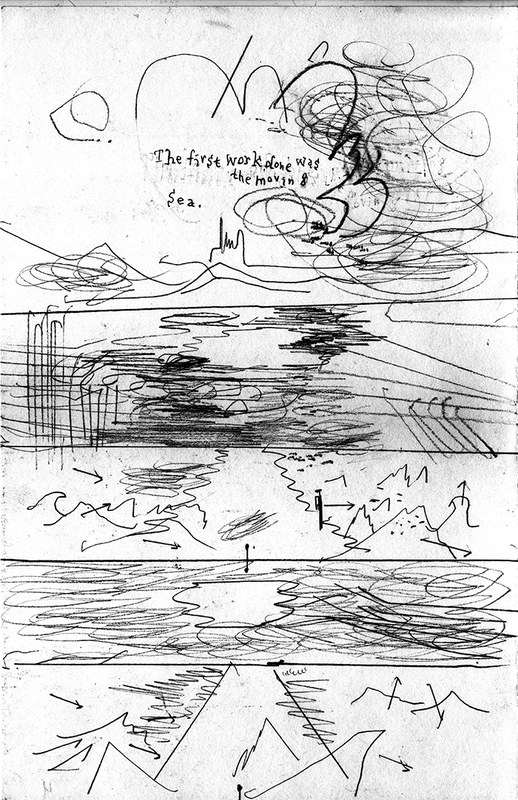 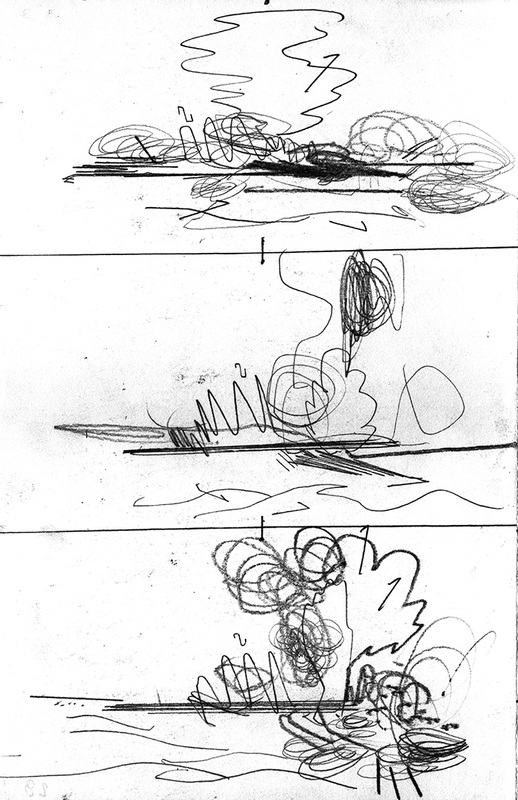 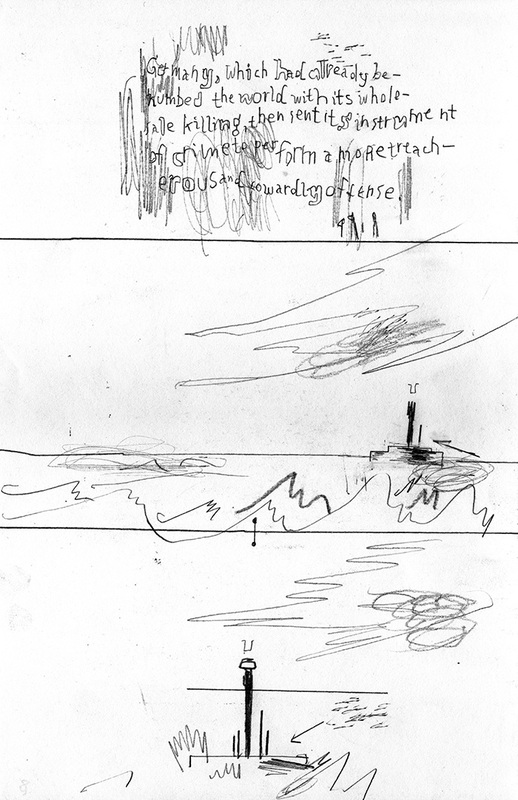 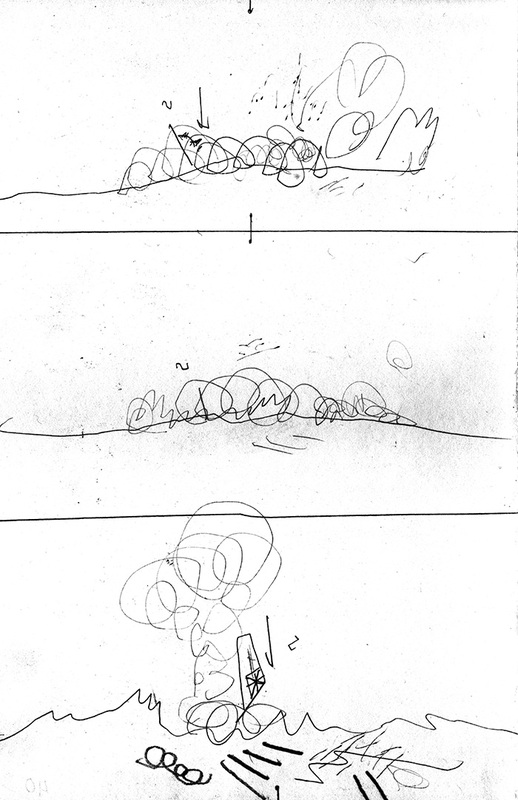 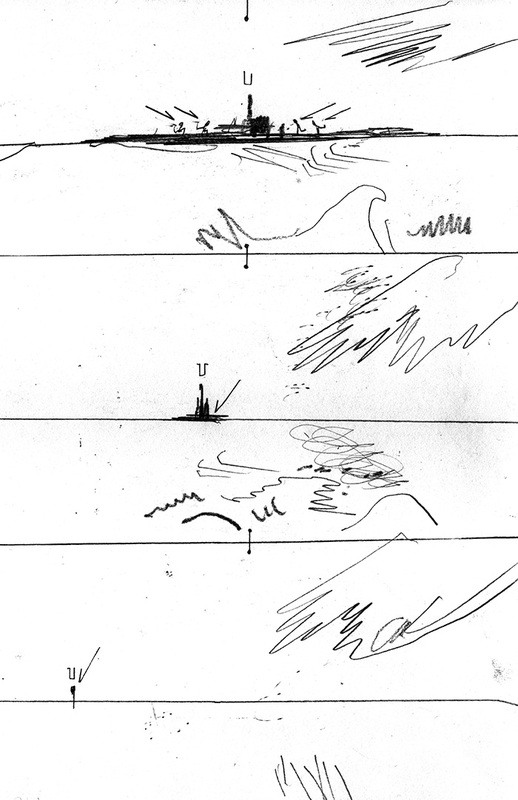 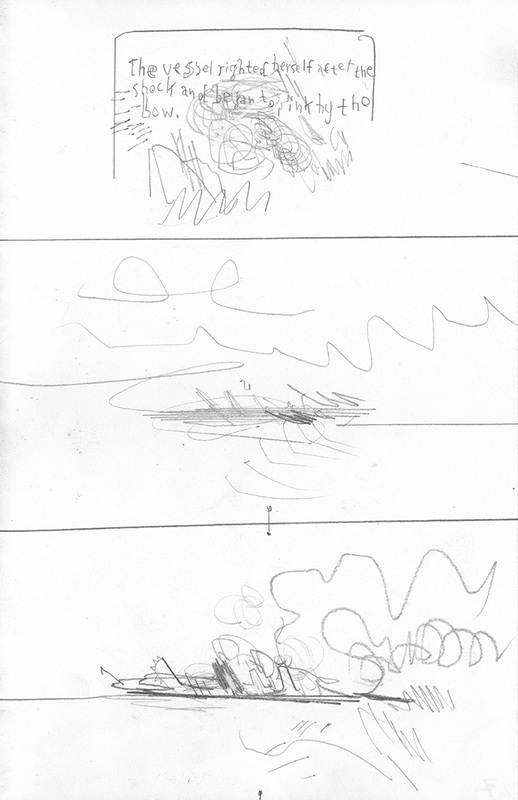 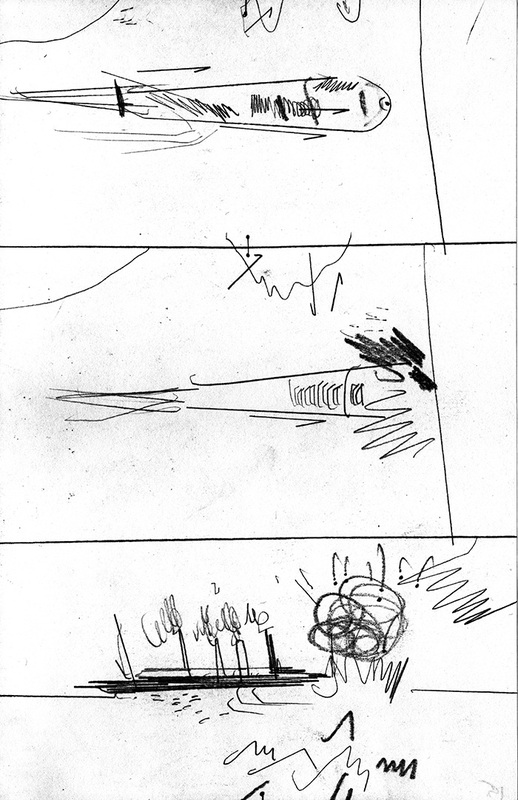 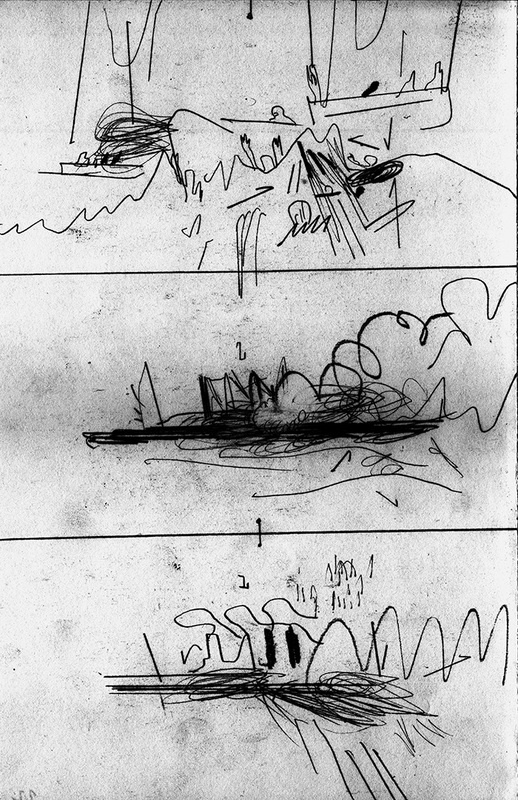 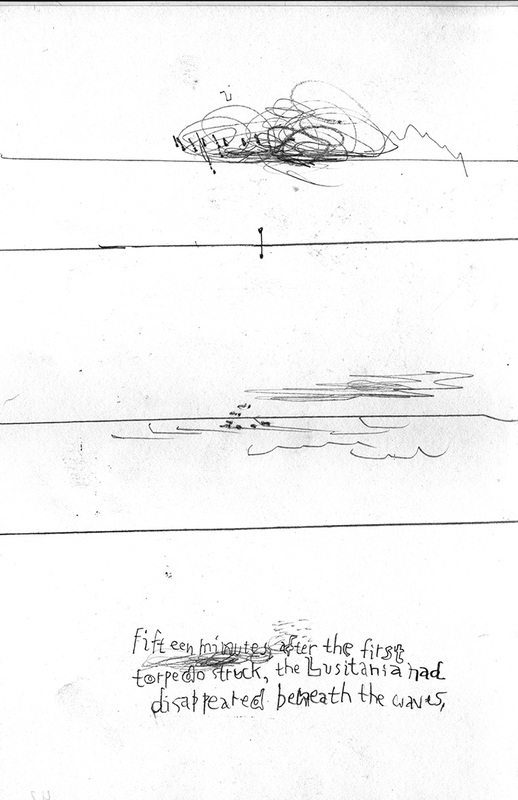 This is a drawn version of McCay's film, made the La Grande Guerre, a WWI live-drawing project.